You could soon carry your driver's license or ID digitally, in your smart phone. Seventeen years into the millennium, we may not yet look like the future society dreamed up by the movies—but we’re getting closer. We finally have flying cars—or at least something that resembles them; we can summon a robot chauffeur with just the tap of our phones; and, to the delight of ‘80s kids everywhere—and the dismay of New York City—we can hop on the long-promised hoverboards predicted by Back to the Future. But how much fun could it really be to cruise around in such new-age vehicles with nothing more than a piece of plastic giving us permission to drive them? The digital wave that has touched nearly everything on our plugged-in planet has finally sucked up our analog driver’s licenses, offering a technological platform to store and display our most basic form of identification. More than a handful of states have proved fans of such progress, signing up to launch pilots of the digital license program. But despite its new-car-smell appeal, the real-world implications of the futuristic system remain largely unknown, and many have openly worried that the trade-off for shiny screens and more convenience will be greater susceptibility—to police officers who are a little too curious, hackers looking to abuse the system, or anyone interested in stealing our identities, whether individually or en masse. Despite their new-age platform, digital licenses will mostly maintain the old-school design of our ID cards, displaying all the familiar information, such as our names, addresses, dates of birth, and DMV-styled headshots (although those could end up looking more like short video clips of our rotating faces, a la Harry Potter). Driver’s licenses would become just another app on our phones. The digital ID would also include a barcode, much like the ones printed on our current licenses, which would allow computers to run real-time checks of the information when scanned. The new factor, of course, is the way such data can be summoned—and updated. Driver’s licenses would become just another app on our phones, with the ability to keep up with our current details in real-time, freeing us from waiting in the dreaded DMV line after a move or marriage. And the virtual nature of our new identifications would make them more secure than the physical cards taking up space in our wallets, proponents of the technology have said. Produced by Marquis ID Systems, an affiliate of the tech security company Gemalto, the digital driver’s license, or DDL, would require a PIN code or thumbprint match in order to open. Gemalto has also promised the ability to remotely deactivate the app should a smartphone get stolen or lost, and said that users would not be tracked via geolocation tagging when presenting their DDL. But some are worried that those safeguards may not protect our phones from every threat. For some, concerns over the technology aren’t about the dynamics of the individual app, but the collection of data it would serve to cultivate. Gemalto itself has likened the system to a national ID card, an idea that has already raised the hackles—and red flags—of some politicians across the country who were worried about the similar implications of the Real ID card. Among other changes, the Real ID system could amass information into a centralized location—an idea the American Civil Liberties Union said could put our privacy in danger. A master database of driving-age individuals in the country could also be viewed as low-hanging fruit for info-hungry hackers. Others have warned that our details could be vulnerable to not just the bad intentions of those looking to steal them but to the prying eyes—and curious minds—of those to whom we’re required to show them, like police officers, bartenders, and store clerks. To combat the issue, programs that would block messages from popping up on screen while the driver license app is open are being considered, and Gemalto has said part of the app would allow users to specify which information they want to display at a given time. In Iowa and Delaware, two states where the technology has been tested, policies have been floated that would free individuals from the need to hand over their device for ID inspection. Instead, officers and clerks alike would be required to simply look at the screen. In light of those solutions—and regardless of any unanswered concerns—those states, among others, are moving forward with the technology, blazing a trail to the digital future. 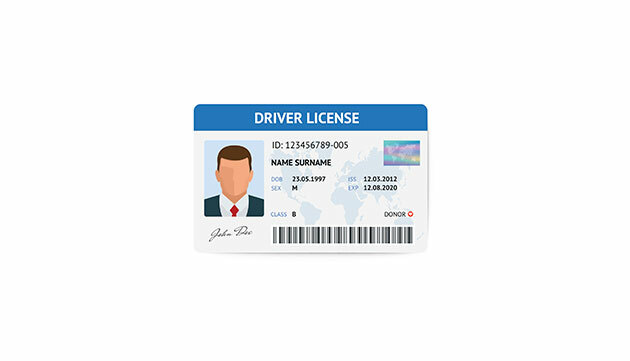 Digital driver’s licenses are currently being developed, tested, or considered in 7 states: Tennessee; Arizona; Utah; Louisiana; California; Illinois; and Arkansas. In 5 others—Idaho; Iowa; Maryland; Colorado; and Washington, D.C.—the government has moved forward with pilot programs, and are readying full-scale launches of the app. In a nation where 86% of people age 18 to 29 are smart phone owners, the digital ID may very well be the wave of the future. Of course, it’s possible the idea may be scooped by the other rapidly-robotized aspect of the automotive world: self-driving cars. Without pedals or steering wheels, the vehicles would make the idea of the driver’s license completely moot. And recent trends have shown that more teens are rejecting the idea of earning a license all together. Still, as our phones begin to absorb more of our information, we’ll likely have to become more comfortable with substituting them for ID—and surrendering them to strangers.